The Safari Endeavour offers the chance to discover a rich underwater world: enjoy a choice of water activities or take a closer look below the surface using the ships’s very own underwater camera. The Endeavour’s hydrophone may also reveal a startling level of communication between marine mammals. 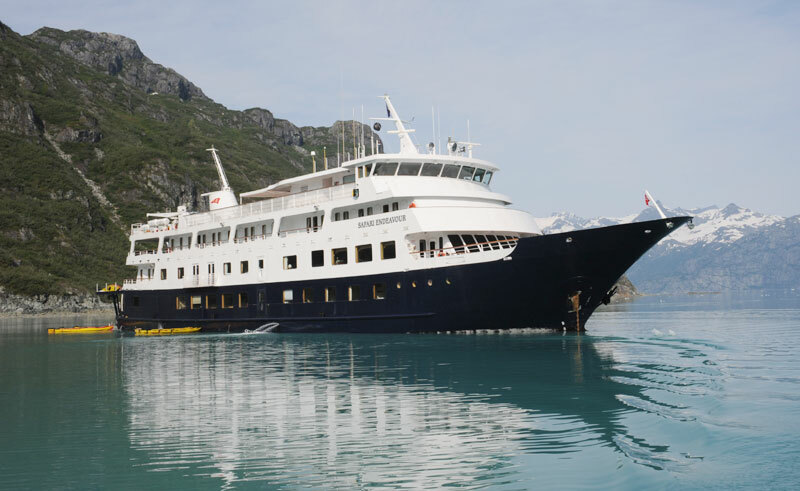 The Safari Endeavour is equally as at home in Alaska as in Baja, handling icy fjords and tropical seas with ease. 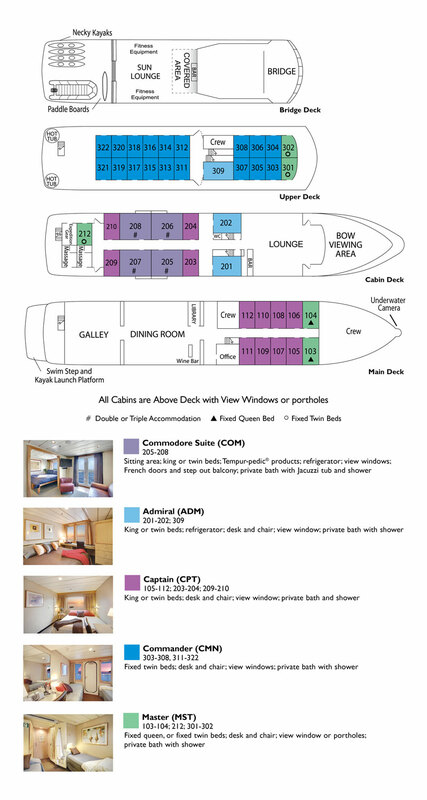 This functional and comfortable expedition ship is stylishly decorated and provides a spacious and relaxed based for marine exploration. 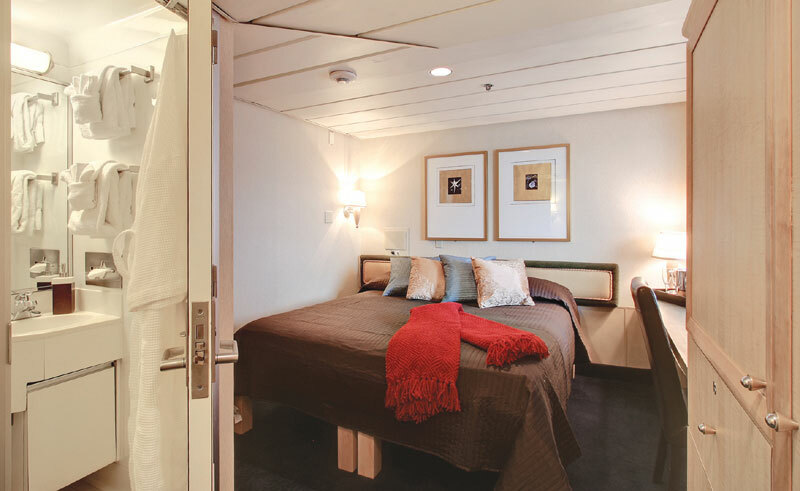 Facilities on board include an intimate wine bar and two relaxing hot tubs, as well as a library, lounge and dining room. There is plenty of space to relax and get to know your fellow-passengers, both inside and outside on the viewing deck and sun deck. Binoculars are available in every cabin and the ship’s hydrophone and underwater camera also open up the sub-aqua world, offering a greater understanding of the region’s wildlife and marine habitats. Off-ship adventures are made easy with the EZ Dock kayak launch platform, which enables even the least experienced adventurer head safely out on to the water in a kayak or skiff. Why choose the Safari Endeavour? This hard-working expedition ship blends active adventure with stylish surrounds – whether you’re in the far north or more tropical waters, the range of equipment on board ensures a fully-immersive experience, even for those that don’t want to get wet!